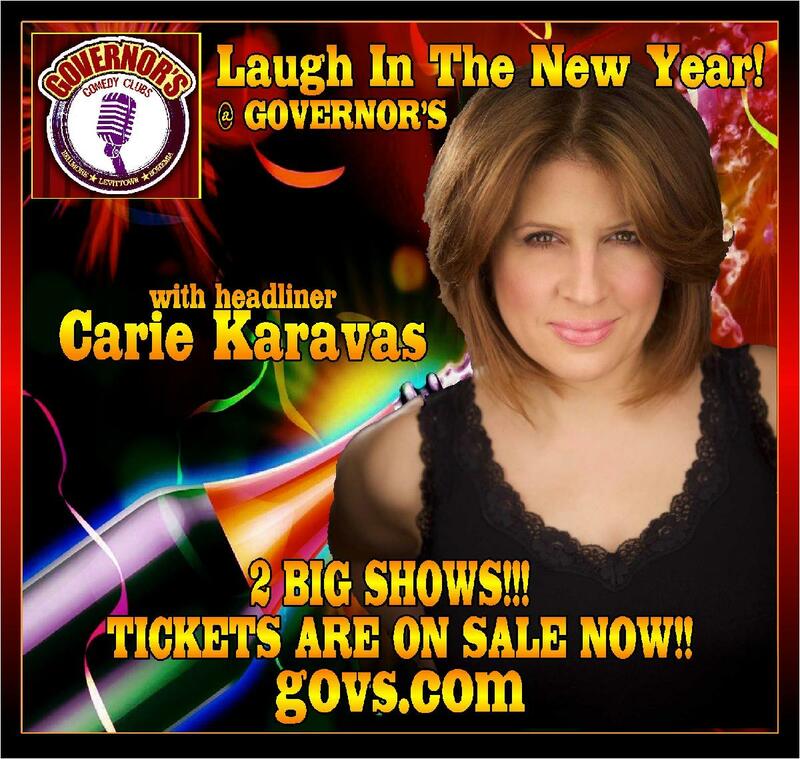 LAUGH IN THE NEW YEAR WITH ONE OF OUR FAVORITE COMEDIANS - CARIE KARAVAS ! NOTE DINNER SEATING OPENS 5:00 FOR 7:00 SHOW, AND 9:30 PM FOR 10:15 SHOW . Carie Karavas is a tough, street smart, wise cracking stand-up comic who's been taking both the New York City and national comedy club scenes by storm. Her tough exterior adds to her hard hitting style of delivery, keeping her audiences constantly on guard for big laughs. Carie is one of the most talented female comics ever to come out of Long Island. She is extremely versatile with her style, adaptable for any audience and a big crowd pleaser. She has recently been featured in a guest role on the CBS sitcom "Kevin Can Wait"!